This might sound crazy to some people, but even Shibuya, Harajuku and Akihabara can get tiring, especially with the number of visitors from all over the world increasing recently. Here are four places you can get to from central Tokyo relatively easily, without having to stay overnight or ride a shinkansen. Comfortable walking shoes are suggested! 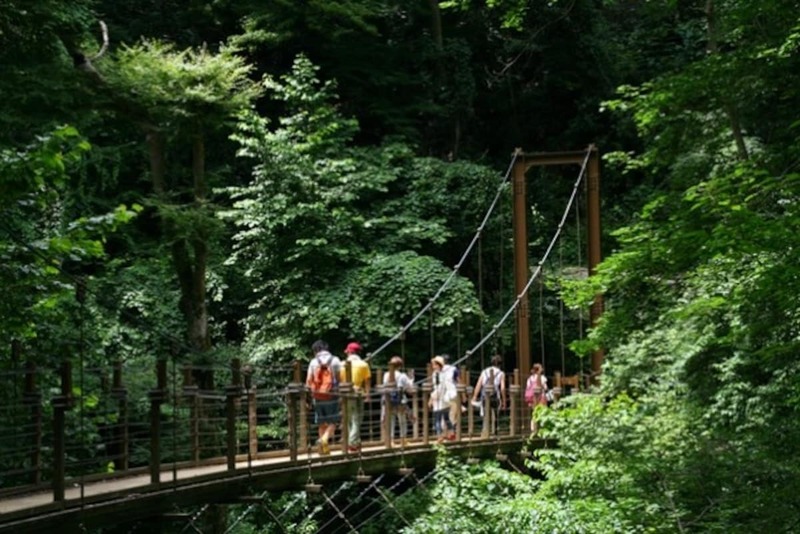 Mount Takao, also known as Takao-san, is a popular hiking destination in Hachioji City in southwestern Tokyo. It’s a great place to feel like you've left Tokyo without actually leaving. Mount Takao is 599 meters (1965 ft) tall and has eight different courses available, depending on one’s skill level or physical condition. There's also a ropeway and a cable car that goes about halfway up the mountain as well. Highlights include waiting for the first sunrise of the year in the winter, flower-viewing in the spring when the sakura are blooming, the mountaintop beer garden during the summer, and taking in the changing of colors of autumn leaves. No matter what season, know that Mount Takao is a popular destination year-round because it's considered a sacred spot. At the top of the mountain is the Buddhist temple Takaosan Yakuoin, which is believed to have been originally built during the 8th century. Takao is closely associated with the tengu, a mythological creature in Japanese folklore, so there are many statues of them all over the area. There is even one on the train platform of Takao Station! Doesn't that sound like an exciting venture outside the city! If you liked that bit, you'll love the rest, so be sure to visit Tokyo Girls Update below for the complete list!